A Canadian eBay seller is listing Aputure’s Trigmaster Plus All-in-One Transceivers for US$59.95 each plus worldwide shipping. That’s half the €100 selling price in Europe, making transceiver-based triggering more accessible to budget-conscious photographers. Not to be confused with the cheaper (and recently reviewed) Trigmaster series, the Trigmaster Plus allows any unit to act as either a transmitter or a receiver. Other transceiver systems include the upcoming Cactus V5 and Pixel King. 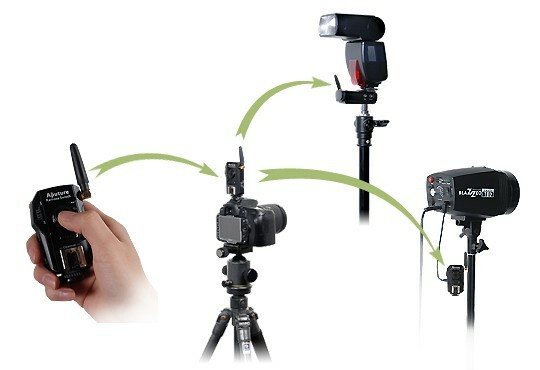 You can compare all kinds of radio triggers in our flash triggering guide. For more information on the Aputure Trigmaster Plus, please visit the manufacturer’s product page.